I remember after graduating law school I had the opportunity to call the law firm of Day Berry and Howard several times (now Day Pitney) and I was instantly enamored of their phone receptionist. I’m sure every person who called there felt the same way. She had the most incredible and memorable voice and charm to match. I can still hear her voice nearly 20 years later. This was my first encounter with the law firm and it set the psychological tone and my perception of the law firm. Her voice made me think of ruby-red crushed velvet. I then imagined how the law firm must look, how everyone must be dressed in expensive suits with french cuffs, and even the high quality of their work. It wasn’t a conscious perception based in any substantial fact and it happened within a millisecond. They took the time to find the right front person for their firm and the branding has stuck to this day. Oftentimes, the first contact (or touch point) a potential client has with your law firm is the person (or machine) answering your phone. This touch point falls under the umbrella of your law firm’s customer service and branding. Unfortunately, many law firms consistently discount the value of a live person answering their law firm’s phone even if not intentionally. 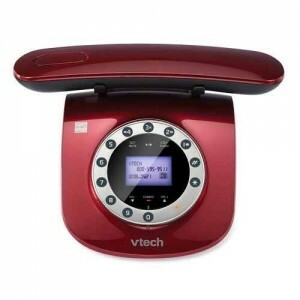 They inadvertently fail to offer high quality, attentive client service with the first ring of the phone oftentimes because they’ve been told technology is a good substitute or everyone is accustomed to voice mail these days. Sometimes, especially when you are brand new, you will use voice mail, google voice, or other types of electronic service as a substitute. This isn’t bad when you are just starting out, but you should plan to graduate to a live service, particularly for the reasons I’ve stated above. When a potential client calls a lawyer, they usually have a good reasons to do so – a legal problem! If they are an existing client they more often than not have important questions or concerns leaving them anxious, frustrated and probably impatient to get resolution. Keeping this is mind, can you now see why those first 30 seconds of a call to your law firm can heavily influence the experience and ultimately the outcome of their contact with you? If they get voice mail, it’s like getting a convenience store, pre-packaged stale cookie instead of grandma’s fresh out of the oven cookie. It’ll do in a pinch when you’re hungry but doesn’t really satisfy. If they are a potential new client, they may simply move on to another lawyer who actually has a live person answering the phone. It is imperative that your law practice be in control of these contacts (or touch points) and set the tone (and extend your brand) early because the backlash can be swift and costly. Dimensional Research conducted a survey which concluded that with just one poor client experience, you can feel the impact on your business in large part because of the power of the internet. As I’ve discussed before, the internet has made it extremely easy for a dissatisfied client to share negative reviews about your firm with some furious key strokes and one final push of the ‘enter’ key. 58 percent said they were more likely to share a negative client service experience today when compared to five years ago. 45 percent said they use social media to tell others about a company’s poor customer support. 35 percent said they have shared bad experiences with other consumers on popular online review sites. 100 percent of the study’s respondents who earned $150K-plus per year said they commonly share bad customer service interactions with other consumers. Don’t forget, while we are talking about the client phone experience at your law firm we ARE talking about an important form of customer service. Experienced customer service representatives have the training to know how to effectively engage potential or established clients and satisfy their needs. How they respond to your client is always relevant. Let’s face it. If you are answering every phone call yourself are you always capable and patient when answering one call after the other, interrupting your work or picking up the phone on the fly while rushing out the door to court and more. You may find yourself pre-judging ‘voices’, making unfair determinations of potential clients when you are simply not in the right mindset to handle a new client call or listen to a frustrated current client’s narrative on a minute point. And voicemail isn’t going to always be the best alternative. 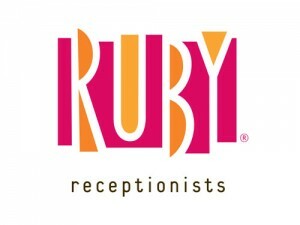 That’s why we are thrilled to introduce our newest sponsor, Ruby Receptionists. I actually sought them out to become our sponsor because I was hearing such wonderful things about their service from the quality of their virtual receptionists, to their price points, their working relationships with their own clients and the ultimate return on investment the users were gaining from switching from voice mail to a live virtual receptionist. By using Ruby Receptionists and customizing their needs with Ruby Receptionists, they are getting the important skills of patient, experienced, attentive customer service pros, hand-picked and trained to know how to set the all important ‘tone’ early and satisfy every caller’s need and based upon your specific instructions. This speaks volumes to me in how they work hard to protect your reputation and brand. This philosophy is definitely in keeping with our Solo Practice University’s own mission, to separate the wheat from the chaff and bring in high quality vendors who can meet solo/small firm needs at rates which are affordable. Ruby Receptionists is the real deal. I did seek out other reviews of Ruby Receptionists and discovered as they grew they had small imperfections. But so do we all. Then I discovered this review which sealed the deal for me. Ruby Receptionists lives and breathes customer service and so I realized if there ever was a hiccup with the company they would be quick to fix and satisfy their own clients (you) because they actually do care – it’s not just marketing chatter. I encourage you to check them out. As always, Solo Practice University does not accept affiliate commissions and any benefit we may derive is passed on directly to our students. Ruby Receptionists is offering our students a great savings to test drive and benefit from using their superb virtual receptionists. Check them out! I second this Susan. Absolutely LOVE Ruby Receptionists. And their customer service is second to none. They sent me a “Call Ruby” onesy earlier this year when our third child was born, and that is just one of many “gifts” I have received from them over the years. And that’s a great review by Sam Glover that you posted, BTW. Thanks, James. This is what we hear repeatedly – ‘we LOVE’ them. That’s why we sought them out. To use the word ‘LOVE’ when talking about a service speaks volumes. There are other receptionist companies out there but Ruby Receptionists stand out, they are reasonable with great ROI because of the personal touch your clients get and can drive business many times over…AND they provide a great discount for our students to try them. Thanks for sharing your experiences, too!